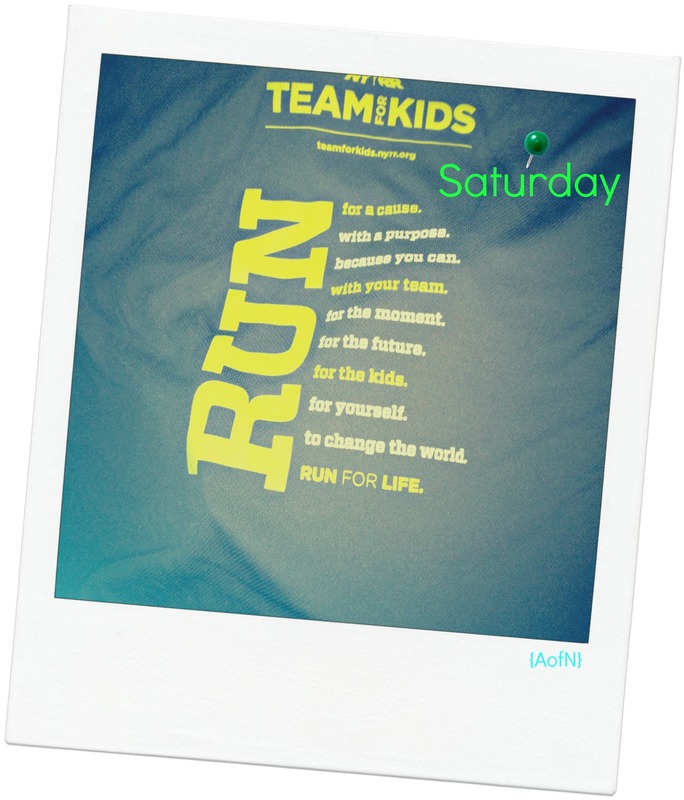 On Saturday Team For Kids had an open house – including a fun run. I think I need a headband / arm band / t-shirt saying “I’m Diabetic” … it would save me a lot of time. Growing up in a small town where you knew most of your peers since pre-school, I forget that it’s not branded on my forehead for everyone to automatically know. My approach : my body / my feelings / my disease/ my decisions / my responsibility. But that doesn’t mean that I can’t learn from others and it’s basic courtesy regarding liability for me to inform all of the coaches … plus it’s for my safety. Not to mention it’s a pretty large part of why I’m doing this! My body & I have had some battles and we’re about to go up against a whole bunch more – training for this marathon (just as important as the marathon itself ) is for my body & mind to prove to each other that it can be done. Diabetes is just along for the ride. That said, while I made a stupid move and ran my blood sugars high (I couldn’t go low on the first run – how lame would that be!) …it wasn’t the diabetes that dropped me to the last one to finish, it was my stupid hip. .::Sigh::. But moving my way to the back had me getting to know all three coaches. And now I’m even more psyched for training runs. I ended up running in Central Park (score – a new route! ), walking back through it from NYRR office to my apartment and then going back to meet a friend. Triple CP in one day. That night I limped my way out to a girls night which took a slight detour to a girls slumber party in Hoboken when a friend had an allergic reaction. That would mark my first stay in New Jersey. 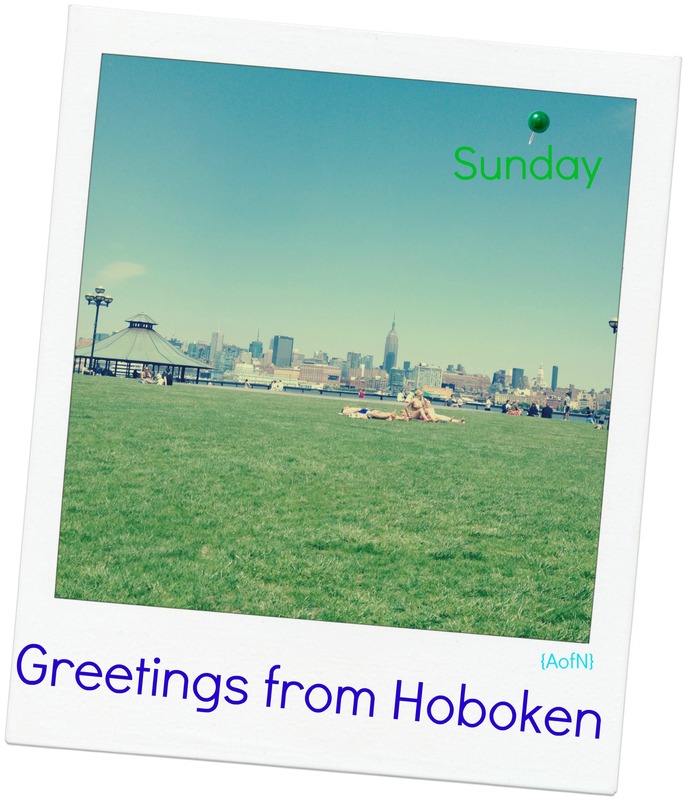 Sunday morning we laid out at the park (um Hoboken Park? I have no clue what it’s called) it was pretty looking into NYC and I saw lots of runners around the quad. When I finally reached home (not to self: always carry extra needles & both insulins) I discovered I didn’t have my keys. After meeting the roomie in the East Village to grab hers I finally got back to the apartment at 6pm (and found my keys on my bookshelf…). Headed to Target I decided to walk the trip … along the East River. Definitely got my share of vitamin D and water views this weekend. Being Mother’s Day & summer weather, everyone was out to play and there were a ton of BBQs & block parties that had me smiling. As I made my way back from Target I realized it was already 7:45pm how did that happen?! I had one last workout due on my GymPact . My gym closes at 9pm – both locations. And I still had both set of keys. I quickly changed and booked it to the gym by 8:20 – perfect timing to get my 30 min in. The roomie made it back to the apartment at the 20m mark, so I had to hop off the elliptical to let her in. Instead of running back into the gym 10 min before they closed I decided to finish out the pact by running (jogging) a few blocks around the gym. Totally counts! Moral of the story: sometimes those #short&sweaty workouts that you cram in between things are the best ones. Especially when you don’t have time to debate it and you go off pure adrenaline rush. Categories: Life | Tags: Blood sugar, Central Park, east river, friends, Hoboken, injury, my photos, New Jersey, running, something new, team for kids, TFK, weekend recap | Permalink.